Which is the largest human organ? I still remember this question from biology test in elementary school, when I learned that it was skin. Although the word organ is often associated only with those within our body, the biggest is literally in front of our eyes and we can see it or touch it. Skin is not only the hugest, but also most weighting organ and in adults it spread across 10 m₂ and weighs up to 10 kg. The skin is dynamic and susceptible to permanent changes, consisting of three main layers: epidermis, dermis and subcutis, each comprised of several substratums. Epidermis is outer, visible and touchable layer that shields us from toxins, bacteria and fluid loss, and dermis is thick, elastic, solid middle layer that plays a key role in defending the body from external influences and irritations, as well as in nourishing upper plies from the inside, because its primary structural elements are collagen and elastin that procure strength and flexibility. Dense and firm dermis helps to relieve outward blows and, when it comes to damage, it treat the wounds with connective tissues. Subcutis or internal layer hides fat cells and blood vessels and stores the energy, while simultaneously guards and isolates the body. Skin is generally of vital importance to our health and well being, as it acts as a protective barrier between outside world and the interior of the body and constitutes our chief and foremost defense against cold, heat, loss of water, radiation, pressure, blasts and scratches. Also, some believe in psychological aspect too, in terms of evident mood indicator – the skin condition affects what we think of ourselves and how others perceive us. When the skin is healthy we feel quite comfortable and confident. For that reason I always pay more attention to skin care in comparison to makeup, as I consider the latter as a means to conceal the „imperfections“. My philosophy springs from the simple principle: if I provide the skin with adequate and daily care, I don't need much, or any, makeup. I bestowequal tendance to body skin care, and one product without which I can't imagine my routine is scrub. There are two focal objectives of scrubs. The first is removal of impurities and dead keratoid cells from the surface, and the second is nursing and hydration. Peeling opens and depurates the clogged pores, exhilarates circulation, boosts nutrient supply and initiates collagen production, along with toxin and debris elimination and struggle against cellulite and ingrown hairs. It's advisable to perform it once a week, regularity generates the cell restoration which in the long run leads to healthier, softer, glowier and radiant skin. Determining what scrub is appropriate for which body part is majorly relevant, those with smaller granules are recommendable for cleavage, neck, breasts and shoulders, medium scrubs have slightly larger granules and can be used for hands, legs and buttocks, and rough scrubs are almost completely dry and are productive for sturdiest portions of skin – elbows, knees and heels. We can make our own scrubs at home, from the kitchen commodities like salt, sugar, coffee and volatile oils, and purchasing options are truly vast. So far I've written about L'Occitane Verbena body scrub with sea salt and aetherolea, and this Rudolph Care intrigued me with acai berries. They are superfood that bursts with vitamins, minerals, essential fatty acids and extremely rife cluster of antioxidants. Acai berries are paramount ingredient of Rudolph Care products. 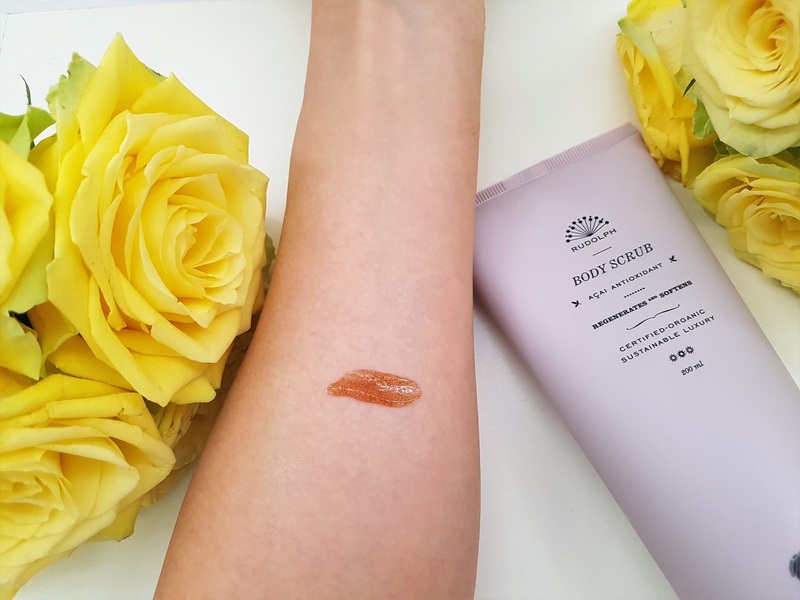 This Danish brand was founded by Andrea Elisabeth Rudolph in 2009., provoked by the event when Greenpeace tested her blood in 2006., which proved to be full of harmful substances and endocrine disorders caused by cosmetics. She decided to replace earlier products with healthier, ecologically-friendly alternatives, but didn't want to discard the beneficiency, wonderful scents and luxury packaging that complement the experience of beauty rituals. That's how Rudolph Care was created, an assortment for all those who wish to pamper their skin without guilty conscience, with the same degree of elegance and potency. 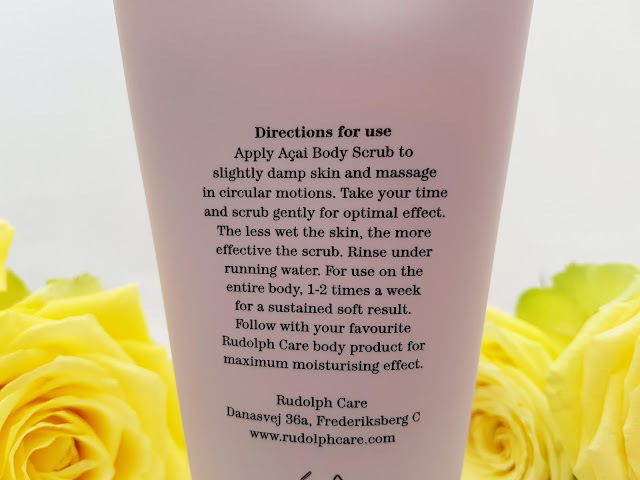 The strive of Rudolph Care is to ensure skin care whose power, consistency and aesthetics are leveled vith other deluxe products, but with preparations that are safe for the environment and our health. Base components are acai berries with extraordinary ability to regenerate, rejuvenate and preserve the youthful appearance of the skin, olive that adds moisture and acts soothing and anti-inflammatory, jojoba supports natural elasticity, softness and suppleness, sweet almond shelters, nourishes and polish and coconut is an antiseptic that balances dry and sensitive skin. 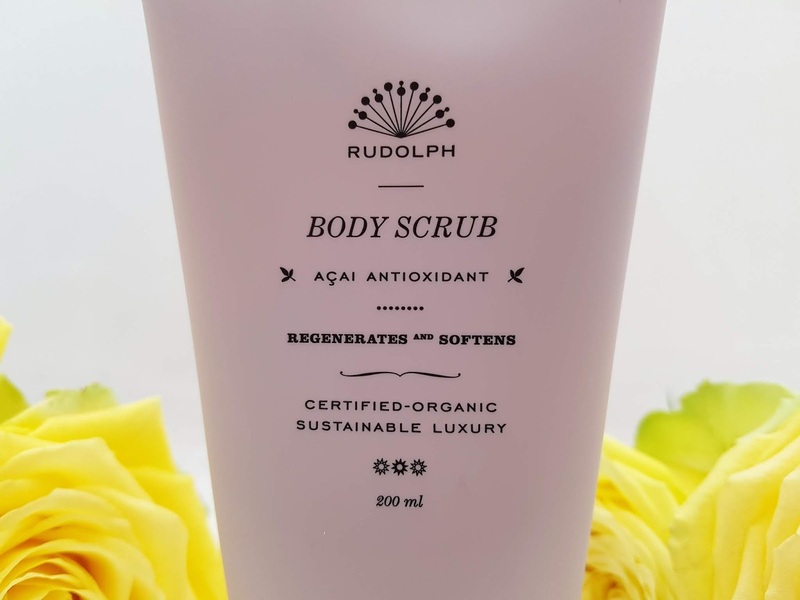 Rudolph Acai Antioxidant is an exclusive and impactful body scrub with antioxidants and natural granules that peels mildly and non-abrasively, without violating the skin and disrupting the natural balance. 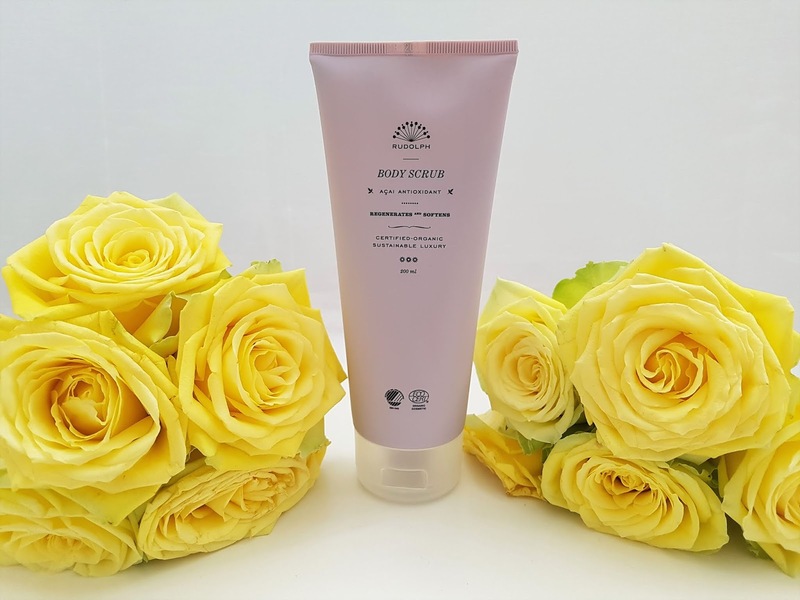 It contains organic oils of rapeseed, apricot and olive which assign moisture and pliability, while finely minced apricot granules graciously remove dead cells and encourages blood circullation in order to renew the cells and leave the skin shiny. The magnificent, delectable odor and pellucid texture with tiny brown beads are inspired by Brazil, where an ordinary stroll through sandy beaches presumes a pleasant foot peeling, so Andrea decanted that marvelous sensation and pleasure into lilac tube and given everyone the spa moments at home, as if the grains of finest and exquisite sand venture across the skin. 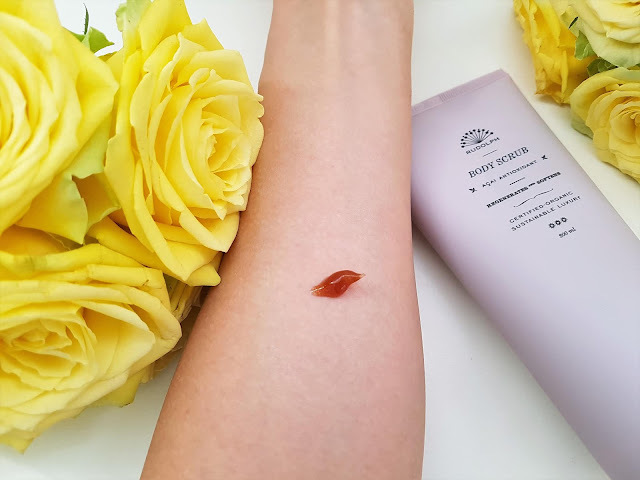 In contact with water it turns into a white creamy foam that behaves like a nutritious lotion, resulting in healthy and vibrantly glossy skin. After exfoliating the dead cells, the skin will be facilitated to receive nutrients from lotion or cream. It's imperative to use nutritious and abundant creams afterwards, because some of the scrubs can really dry out the skin. For me it's the final and unskippable step in my routine, which nourish, smooths, refines and deeply hydrates my skin. 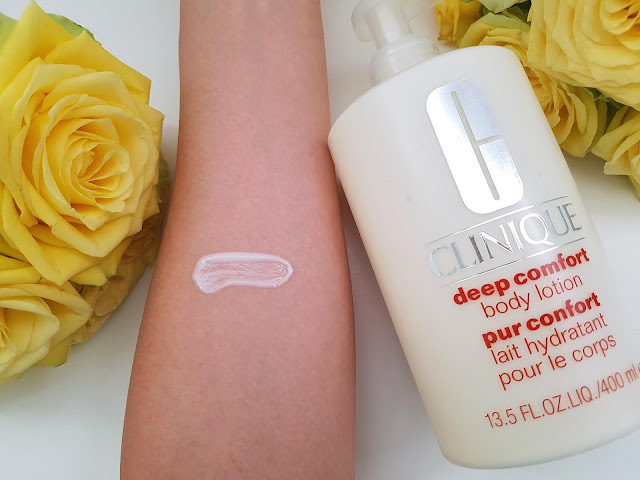 Therefore I purposely employ Clinique Deep Comfort body lotion with a rich creamy-aqueous formula that instantly absorbs and triggers the feeling of absolute hydration. This silky lotion weaves a cocoon of relaxing freshness, establishes a moisture barricade and distributes antioxidants for a fight against agressive external factors and climate changes. A very small amount is sufficient for the whole body and the specific fragrance vanish upon touching the skin. When I apply it I literally have the notion that my skin is enveloped in lightweight, calming shroud of penetrative moisture that covers me until the next showering. It's convenient to quote Jim Rohn in this occasion too: „Take care of your body. It's the only place you have to live.“ As we must dedicate extra awareness to our body, we have to gratify our skin with various treatments, scrubs and lotions to keep it neat and beautiful - it's our natural cloak and cape that follows us for the entire life, like a piece of clothing that never falls out of fashion. Have you tried Rudolph Care scrub or Clinique lotion? What are your impressions? Write me in the comments? Your photography style is awesome! I tried acai only in food, love them! I good body scrub and moisturizing is a must! I started doing this, this year and it makes a big difference! Thanks for sharing these! Wow - they both sound wonderful! What a great gift set this would make for somebody special (like Mother's Day, maybe?). I love that the scrub is loaded with such wonderful ingredients. Your reviews are always so comprehensive and the information is complete - thank you for sharing this! 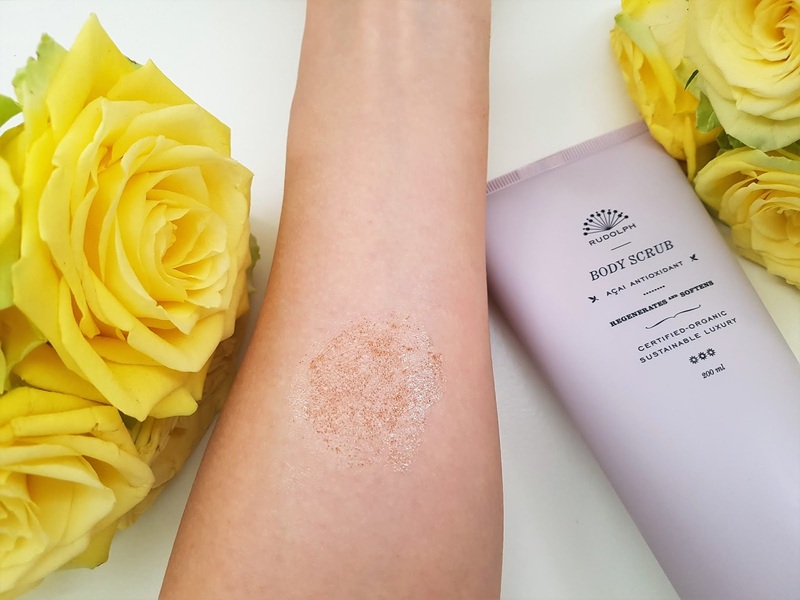 The scrub seems amazing! I really do want to try this. Thanks for sharing. I haven't tried this brand.But you bring up such great points....our skin is SO important. And I think we forget that at times. where do you have the "follow" gadget? I do love a good body scrub. Got to try this one! 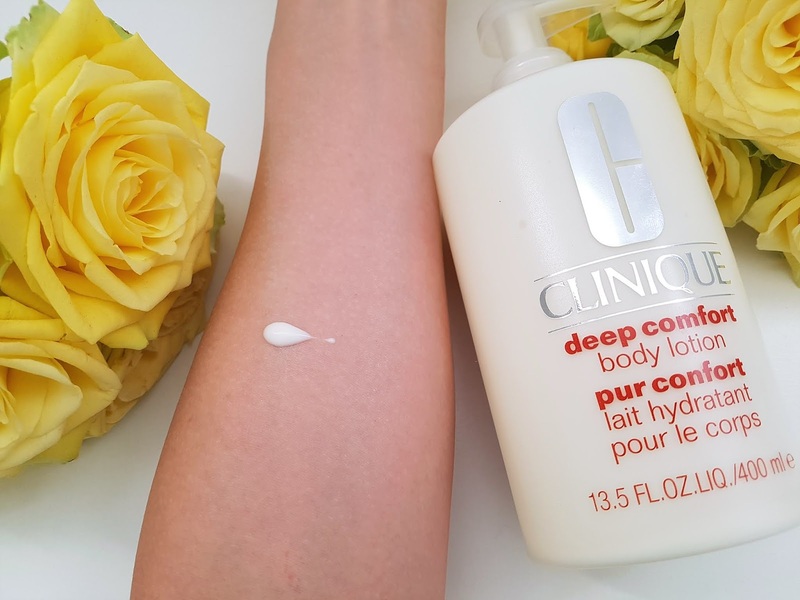 Body scrub looks a great product... Clinique is an optime brand! Have a beautiful day. 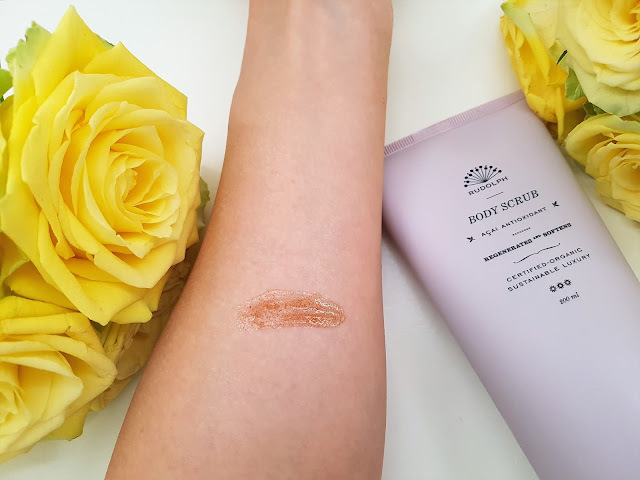 I really should scrub sometimes my body :) Therefore, thanks a lot for your review! The scrums seems awesome need to look init. I agree. If we take good care of our body& skin, we won't need make up. This body scrub sounds great! Utilizzo molti prodotti della clinique e mi trovo benissimo! love how that body scrub sounds! Those kinds of products always feel luxurious! I love Clinique's products, they are awesome! Great post! I love the sound of the scrub . it made me remember that I need to buy a body scrub 'cause I finished mine! Ohh I need that Clinique body lotion for sure, so tempting! I have never come across another product like this! It's like 2 in 1! so cool! The body lotion from Clinique is my fav! Your posts are always a wonder to read because you give very precise explanations about the products. But I have to tell you that when you have a certain age, for example my 47, only beauty care is not enough, make up is even necessary ah! And with your post I became much more alert to the need to take care of my skin. Thanks. These products are of excellent quality! I love how educational this blog post was about skin! I've definitely taken my skincare so much seriously after I've entered into my mid twenties and anti-aging products are a must for me. I lovee using exfoliants to always ensure I have baby soft smooth skin. :) I'll have to look into these products. These products seem great. Have a lovely evening. It's amazing how important our skin is, and yet for me I focus way too heavily on the skin on my face or hands and not the rest of my body. This is clearly something I need to work on! Parece muito bons, adoraria usa-los. 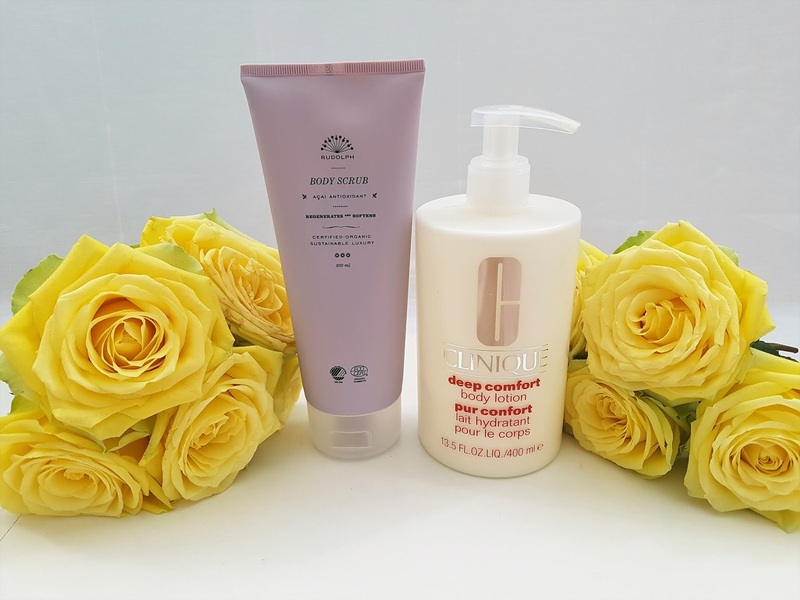 I've always found Clinique's skincare products to be SO nourishing! This body lotion sounds amazing :) Have a fabulous weekend! Oooh, I didn't know Clinique came up with their own lotion! I know I would love the feel of the body scrub. The texture looks interesting. I wasn't expecting the color to be red! Thanks for sharing! I love exfoliating and I really enjoyed meeting this acai. Have a great day! Such a great outlook - taking care of your skin up front so you don't have to do a lot of work to fix it or cover it up! Great product review, darling! The body scrub sounds really nice, would love to try iot out.